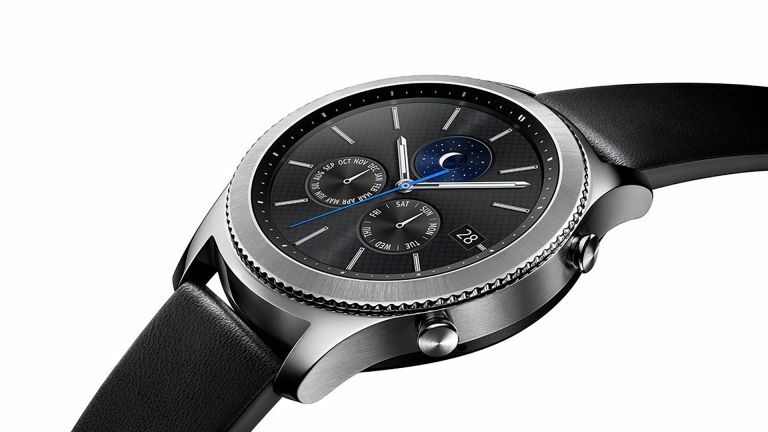 Samsung has just confirmed its next smartwatch, after much speculation, will indeed be called the Galaxy Watch and not the Gear S4 (unless that's coming as well). The Korean brand did this through the usual channels, ie: accidentally posting a listing for the watch on its retail website, then quickly taking it down again. That's not all Samsung accidentally revealed, as a website listing also included images of the upcoming smartwatch. The screenshot was snapped by CNET yesterday evening, before it was quickly taken down by Samsung. The shot not only gives us our first official glimpse of the watch and confirms the speculated 'Galaxy Watch' name, it also gives us a few hints to features the watch will include. As you can see for the image, at least one variant of the Galaxy Watch will be a 42mm rose gold model. The model number, SM-R810NZDAXAR, doesn't quite match up with previously reported filings to the FCC, but this suggests that Samsung is planning to release a number of different variant. The screenshot shows a 'Bluetooth' model, suggesting there could also be a cellular model in the line up as well. Of course, rose gold isn't for everyone, so we can also expect to see steel, titanium, or yellow gold models. The link connected to a dead page, and, unfortunately, doesn't provide any extra information, such as a price or release date. Although, if previous reports are accurate, we can expect to see the Galaxy Watch in August, alongside the Samsung Galaxy Note 9.